There are approximately 10,000 bird species on this beautiful planet. Welcome to 10,000 Birds, where, between us, we expect to eventually see every single one. Expect plenty of commentary on natural history, science, politics, conservation, travel, and blogging along the way. 10,000 Birds was founded in 2003 by Mike Bergin. You can read the 10,000 Birds origin story at the Bird Watcher’s Digest website. Mike, based out of Rochester, NY, is a leading authority in the field of standardized test preparation, but what he really aspires to be is a naturalist. Besides founding 10,000 Birds and I and the Bird, Mike has also created a number of other outstanding sites and resources, most importantly Nature Blog Network. Corey Finger, who joined 10,000 Birds in 2007, is a New Yorker who lived most of his life in upstate New York but has lived in Queens since 2008. He’s only been birding since 2005 but has garnered a respectable life list by birding whenever he wasn’t working as a union representative or spending time with his family. He lives in Forest Hills with Daisy, their son, Desmond Shearwater, and their indoor cat, B.B. 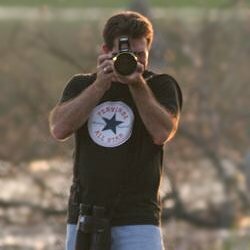 His bird photographs have appeared on the Today Show, in Birding, Living Bird Magazine, Bird Watcher’s Digest, and many other fine publications. He is also the author of the American Birding Association Field Guide to the Birds of New York. 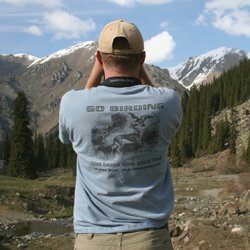 10,000 Birds is also privileged to host a horde of talented Beat Writers representing some of the best writers, photographers, guides, artists, and all-around personalities in the birding world. Learn all about the 10,000 Birds Beat Writers, their topics, and their schedules. If you want to learn where to find folks who used to write on 10,000 Birds, then this is the page for you. 10,000 Birds has been included for years in Alltop Outdoors, the site that aggregates what is considered the best writing on the web related to nature and outdoor activities. If you’re friendly, contact us!